Money laundering, fraud and market abuse threats are dynamic and criminals constantly devise new techniques and exploit the easiest targets in the financial services sector. To mitigate the risk of being used as a vehicle for financial crime your firm should systematically assess, mitigate and monitor these risks. You should constantly seek to identify fraud, money laundering, OFAC* or sanctions breaches or any forms of market abuse as well as conduct risk or cultural implications at an early stage of the client acceptance and on-boarding process, and if suspected, escalate your suspicions to senior management by taking appropriate action. By adopting a risk based approach you provide the driver for your overall strategy of fighting financial crime. Through this approach you can identify the areas of greatest vulnerability and focus our resources on those areas. Ultimate responsibility for this approach lies with your senior management but all staff carry a responsibility to maintain the effectiveness of systems and controls. Given the nature of risks involved in money laundering, OFAC and Sanctions as well as the other risks, it is not possible to cover every possible eventuality in this manual. Should an issue arise that is not specifically covered in this handbook, employees should refer to the MLRO for further guidance. The FCA’s financial crime objective encompasses the prevention of financial fraud, market abuse and money laundering. Money laundering is the process by which criminals attempt to hide and disguise the true origin and ownership of the proceeds of their criminal activities, thereby avoiding prosecution, conviction and confiscation of their criminal funds. Money laundering and terrorist financing risks are closely related to the risks of fraud and insider dealing. While these are separate offences, money laundering involves handling the proceeds of any crime, including the proceeds of these activities. The ability to launder the proceeds of crime through the financial system is vital to the success of criminal operations. London, as one of the world’s major financial centres, has a major role to play in combating money laundering. Firms that become involved in money laundering risk prosecution and damage to their reputation. In recognition of this the procedures that your firm should adopt, to reduce the incidence of financial crime, focus on knowing our clients, understanding their businesses, carrying our proportionate verification checks and identifying and reporting suspicious activity. 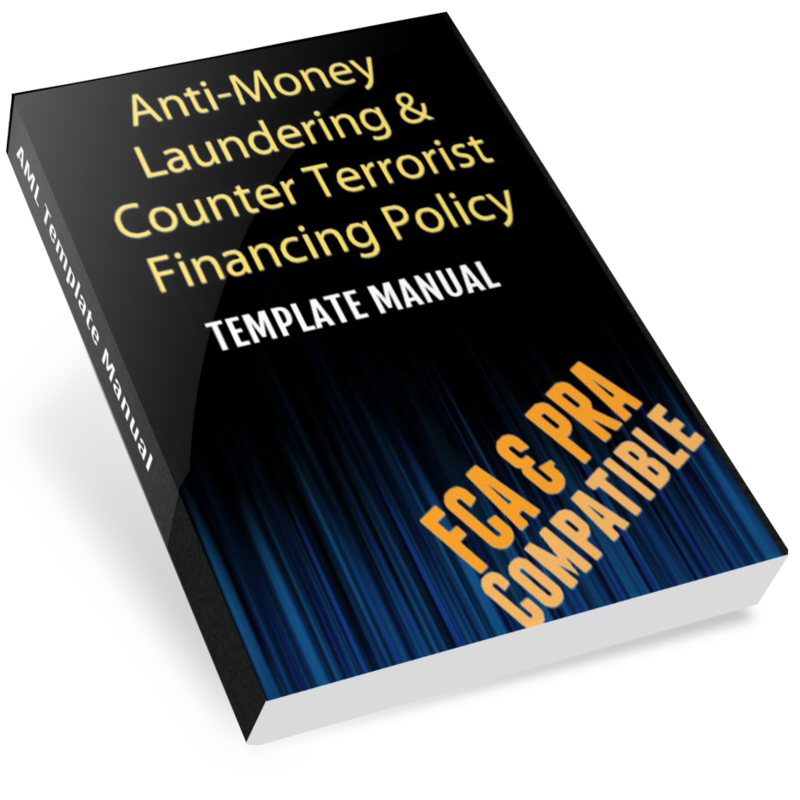 Any UK Firm is subject to the provisions of the UK Money Laundering Regulations 2007 as well as the FCA Senior Management Arrangements Systems and Controls sourcebook for firms involved in financial services. The Joint Money Laundering Steering Group guidance 2007 (“JMLSG”) (as amended) provides practical interpretation of legal and regulatory requirements and indicates good industry practice. Your firm should take into account the JMLSG when devising a risk-based approach to the prevention of money laundering risk. The latest details can be found at the website http://www.jmlsg.org.uk/. You could also be exposed to OFAC breaches or restrictions and it is best practice to keep abridged of these requirements. Full links are provided in the manual to enable you to do this. Combating financial crime is high on every Firm’s and regulators agenda. Apart from financial loss, regulatory sanctions which include criminal penalties and adverse publicity are highly damaging to any business and career threatening to individuals.